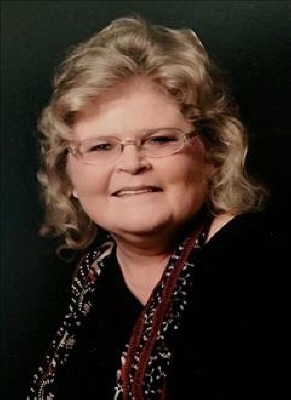 Pamela Sue Ledbetter McMains, 57, died April 3rd, 2019, at her home in Duke, Oklahoma with her family by her side. Though Pamâ€™s life was one shadowed by illness; it was one filled with family, faith, and love. Told she would not live to adulthood; Pam forever defied the odds, pursuing education, family, and her constant faith. Bright, artistic, and athletic; Pam graduated from Duke High School in 1979 as valedictorian of her class. She played on the 1979 State Tournament basketball team, coached by Kit Lewis, who was a hero to her. She attended Western Oklahoma State College, Southwestern Oklahoma State University, ultimately graduating from The University of Central Oklahoma. After graduation, Pam dove into the community of Altus First Baptist Church where she met Doug McMains, who she called â€œher angelâ€, marrying him in 1986. Their marriage was one of partnership, companionship, and deep love. Told she would never have children, Pam again defied the odds; her miracle, Kolten, was born in 1992. Kolten was her world. She adored him and was thrilled to watch him fall in love, pursue his education and career, and marry his incredible wife Chelsea. Kolten and Chelsea gave Pam two of her greatest gifts: her grandsons Kayson and Keagan. The most important things in Pamâ€™s life were her family, who cherished her, and her faith. She was raised in a Christian home, and was a Prayer Warrior known for having a â€œdirect line to God.â€ As her health declined, she stayed home more but continued to minister to people through cards, letters, texts, and phone calls. She believed â€œhugs were healingâ€ and she administered many. Pam and Doug taught Sunday School at First Baptist Church of Duke, sharing their faith with the youth of their community. Forever faithful and self-possessed, Pam knew that she was being called home. She surrounded herself with her family to say her goodbyes and make her plans, writing out in large handwritten letters her wishes for a send-off that would be a â€œCELEBRATION!!!â€. Pamâ€™s life was and is a lesson to us all; â€œwe love you moreâ€. Pam is survived by her husband, Doug; son, Kolten, and his wife, Chelsea; grandsons, Kayson and Keagan; mother, Gayle Ledbetter; sisters, Kim Ledbetter Mosley and Terri Pearson, and their husbands Terry and Bob; niece and nephews and a large extended family. She was preceded in death by her father, Dale Ledbetter, who always cherished his three girls: â€œDaleâ€™s Angelsâ€. A memorial service will be held on Saturday, April 6th at Lowell-Tims Funeral Home at 10:00 AM. Donations can be made to the Duke First Baptist Church, PO Box 128, Duke, OK 73521. To send flowers or a remembrance gift to the family of Pamela Sue McMains, please visit our Tribute Store. "Email Address" would like to share the life celebration of Pamela Sue McMains. Click on the "link" to go to share a favorite memory or leave a condolence message for the family.